Home / Dental health / Yellow Teeth: Why Not To Worry No Matter How Upset They May Make You! Yellow Teeth: Why Not To Worry No Matter How Upset They May Make You! Why do I have yellow teeth? Many people feel like their teeth just become yellow in what seems like overnight. While the truth is this was probably going on for a while, there are many reasons why you may be seeing yellow all of a sudden. There are typically straightforward reasons why your teeth are suddenly changing colors, many of which you can fix or change on your own or your dentist can help you change with minimally invasive procedures. Let's face it; not everyone has good oral hygiene. Even the most well-meaning person can forget to brush and floss a few nights because they were tired. Oral hygiene means a variety of things though - not just brushing and flossing. If you have a poor diet - meaning one rich in sugar and processed foods or if you do not drink enough water, you could put your teeth at risk from becoming yellow. Also, if you do not keep your regularly scheduled appointments with a dentist for professional cleaning; your teeth could become yellow over time. Your mouth needs proper cleanings every six months, regular home health care, and a good diet to keep your pearly whites. When these things falter, so does the color of your teeth. Certain illnesses or medications can alter the color of your teeth. Luckily, there are ways around this if it is the medication causing the problems. If you notice that your teeth change color shortly after starting a new medication, talk to your doctor. Chances are there are other medications you can take for your illness that will be just as effective. If you are unable to change medications, you can talk to your dentist about the options you have for whitening your teeth again. There are many options, but you want to start with the least invasive first. Hormones play a vital role in the appearance of our teeth as does aging. Hormones can cause us to suffer from gum disease and even cause tooth discoloration. If you are in a particular phase in life that your hormones are altered, you could suffer from yellowing teeth. This is not something that can be helped or changed, but we can help you find the right solution to make your teeth look white again. Aging or natural wear and tear on your teeth can also cause the discoloration that makes you cringe when you look in the mirror. With solutions such as professional teeth whitening or dental veneers, you can have your teeth looking as good as new no matter what your body is going through. 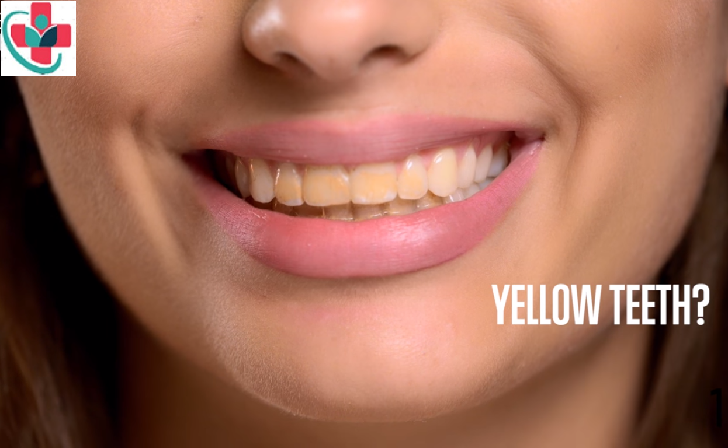 Yellow teeth are not something to worry about, no matter how upset they may make you. With so many options available for whitening discolored teeth, there's no reason to feel embarrassed about their color. Luckily, there are many solutions to help you get your white teeth back, even if they have been yellow for a while. Cosmetic dental procedures are non-invasive, yet effective, at giving you the smile back that you desire.